Nowadays, you have more choices when it comes to boilers for your residence, and although this is good in itself, it could lead to a certain amount of confusion. Before settling on a particular boiler, you have to perform due diligence and find out as much as you can about your options. You also need to consider your household requirements, especially in regard to the amount of heating you require so you and your family can stay comfortable. To help you along, here are the top three aspects you should consider when selecting a boiler. Your first consideration will be whether to go for a wall-mounted boiler or a floor-standing one. Most contemporary boilers for homes have a wall-mount design, but there are exceptions for boilers which are integrated with pressure tanks with a high volume. Floor-standing boilers are also referred to as free-standing boilers, and they are often more advanced than wall-mounted ones in regard to heating capacity and electrical consumption. However, if the capacity of the boiler is more than 100 litres, it may be impossible to mount it on the wall. The floor-standing boiler can supply larger amounts of hot water, and it has a similar look to a refrigerator, which allows it to be installed in a closet or boiler room. A wall-mounted boiler, on the other hand, is smaller in size compared to a floor-standing boiler and is often less expensive as well. A wall-mounted boiler can be installed inconspicuously since it looks similar to a cupboard. A typical wall-mounted boiler comes equipped with a safety valve, a pump for water circulation, and an expansion tank. If you have a typical residential dwelling or are living in a flat, a wall-mounted boiler is often good enough for your needs. The good news with gas boilers, as confirmed by LPG boiler specialists from www.northerngasheating.com, is that they don’t require too much maintenance. Once the fittings are installed, the boiler can operate without too much interference. At the end of the day, automatic controls may well be your best option. In order to operate a boiler in a more cost-effective way, you should make use of a controller for temperature. 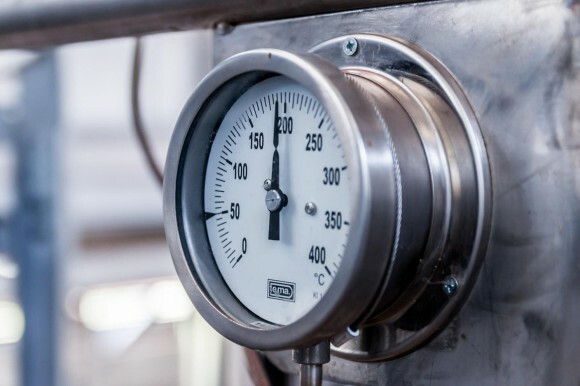 The most popular way to adjust the boiler’s temperature is with the use of a mechanical thermostat, which allows you to easily monitor the level of temperature in a room. You have another option, however, if you want more flexibility in operating your boiler. You can opt for a thermostat which is self-programmed, and this can also come with additional functions for boiler management. The self-programmed thermostat will automatically adjust the level of temperature depending on the time of day whilst taking note of your preferences as well.